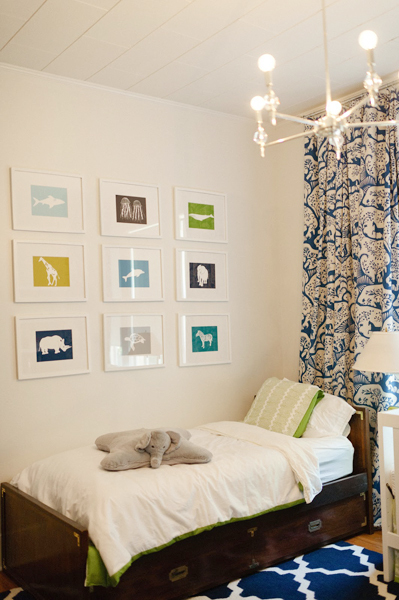 Do you guys ever see spaces and think, hey, someone stole my brain and designed that room. 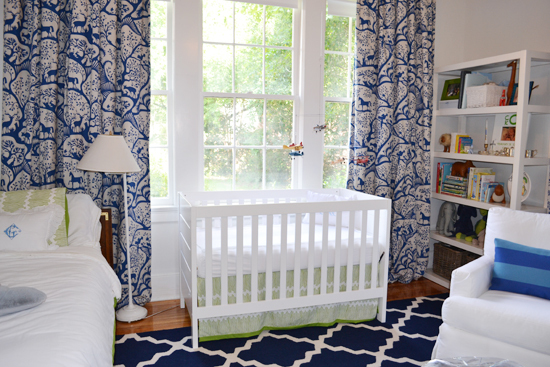 I am probably flattering myself, but I came across this little nursery on this blog this morning and I love every.single.bit. 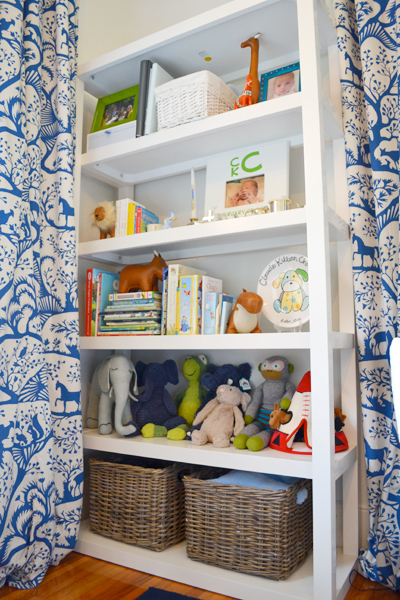 As a mama to a little boy, I always love a good boy friendly nursery. Part of my attraction is probably the fact that I have been trying to get someone to use that Duralee fabric as a drapery panel for about a million years now. It is so affordable and fun. And look how awesome it looks. 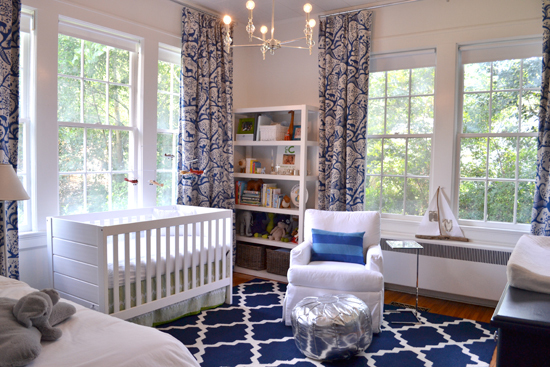 And that navy lattice rug from RugsUSA that I have seen a million times, but never considered, goes so perfectly. When you are doing the all white/modern deal, I think you need one good old piece of solid wood (not painted) to give it that "hey we didn't just go to a store and buy this all in one day" feel.